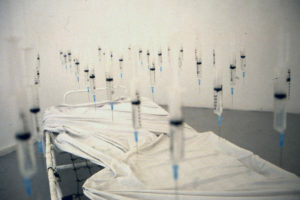 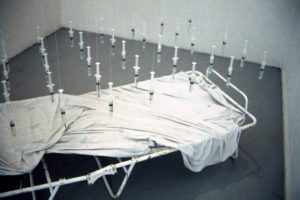 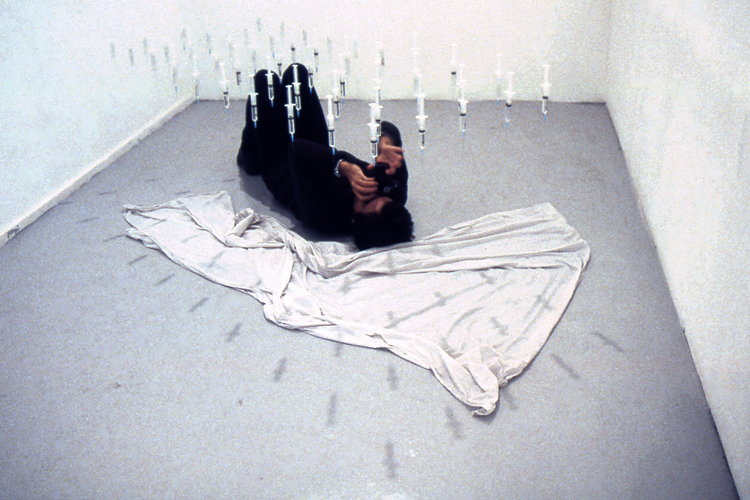 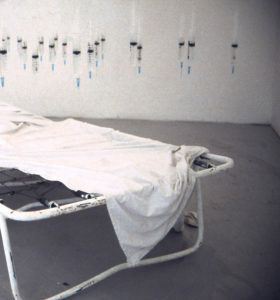 THE DREAM OF SWEAT The Dream of Sweat is an installation put together with needles, syringes, camp bed and a wet cotton sheet thrown on top of the bedsprings. 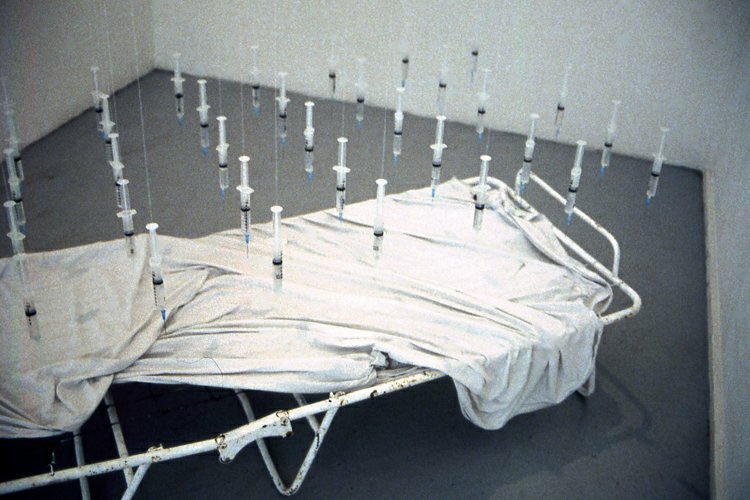 This work was born out of the fear Manel was feeling at the time before retroviral medication was discovered, as well as his fear of being pricked by needles. Going to bed was an anxious time, since loss of weight and the night sweats he was suffering from, made the experience all but pleasant.